The Muslim world is in deep crisis. The gleaming towers and glittering night lights of Gulf cities and the legendary wealth of the oil sheiks mask a heinous reality – the Middle East, and much of the Islamic world with it, is imploding. 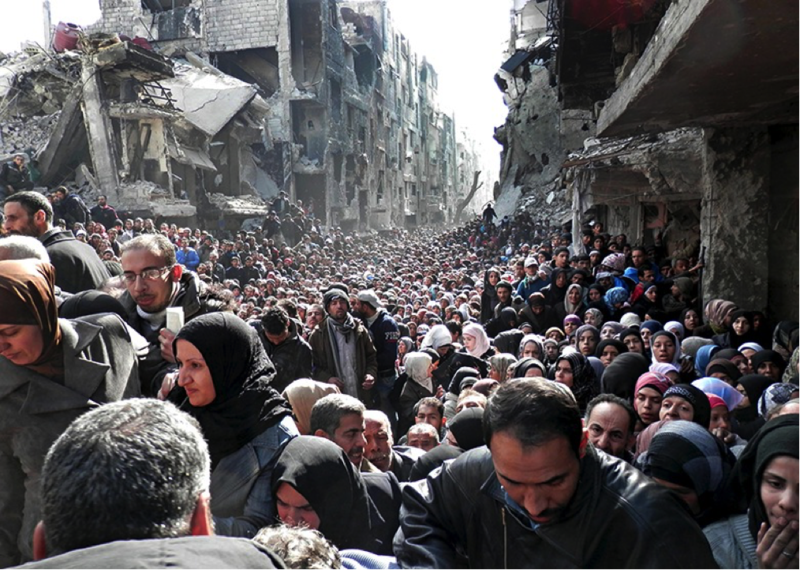 Corrupt and ruthless politicians hold sway over weary and disenfranchised populations. Dissent of any kind brings swift retribution. Fanatical groups inspired by a warped and twisted interpretation of their religion kill, maim and destroy with unimaginable fury, all in the name of God. Religious leaders seize every opportunity to enforce their own versions of Islam on the state, pushing things to absurd extremes and stoking intolerance and hostility while insisting that their faith teaches tolerance and respect for diversity. Several complicated narratives are playing out simultaneously and feeding off each other – Sunni/Shia, Arab/Persian, secular/religious, ruling families/restive citizens, extremists/moderates, reformers/conservatives, democrats/dictators – creating a perfect storm of mayhem. It’s hard not to be shocked and appalled by the televised daily live feed of men, women and children fleeing in desperation, full of fear and anxiety, weary, wounded, worn out and overwhelmed by hopelessness and despair. 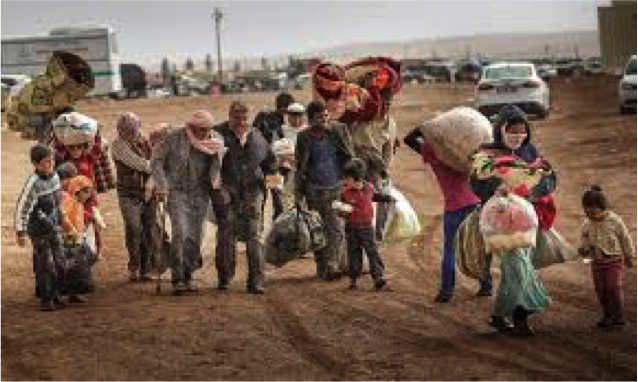 Whole populations have been displaced and forced to seek refuge. Historic cities are in ruin. Societies are being upended. Ancient cultures are being wiped out. And the staggering brutality of it all is beyond belief. The Internet, more graphic than television, is full of sickening pictures of broken bodies and dismembered limbs proudly displayed alongside ebullient praises to God. Surely, not since the Nazis have we seen such iniquity, such a descent into madness. How has it come to this? How has a community with such a rich history, with so much wealth and so much promise been reduced to such a wretched state? Certainly, many will point to foreign intervention, and with good reason. The criminal invasion of Iraq, for example, not only destroyed the Iraqi state and plunged the region into disarray, it killed more people in a few years than were killed in almost a quarter century of Saddam Hussein’s terrible rule. Afghanistan’s slide into disarray was hastened by the Russian invasion. Libya and Syria are in chaos today because of ill-considered Western intervention. Others, of course, will blame the Israeli occupation of Palestine. Certainly, the plight of the Palestinian people is a terrible tragedy and a blight upon the conscience of the international community. But, truth be told, Muslim states have long since ceased to be truly concerned about the Palestinian issue. It represents a convenient distraction for the masses, a handy political tool, nothing more. The roots of instability, however, go much deeper and have to do with the very ideas that underpin the governance system of most Muslim states. What has evolved in the Muslim world is the unfortunate idea that, somehow, democracy, respect for human rights and the rule of law, which have served so many other countries well, are not fully compatible with Islam. One has only to listen to the discourse among Islamic groups in Malaysia to see how pervasive this idea is. What is then left to Muslim societies is a rigid spiritually-defined polity ill-suited to the demands of good governance. Worse still, to thrive, the ulema have had to either find common cause with autocratic rulers in an unholy alliance of mosque and state as in Saudi Arabia, or resort to direct repression themselves as in Iran. As can be expected, such governance structures are inherently unstable. Paroxysms of violent uprisings are a natural consequence. 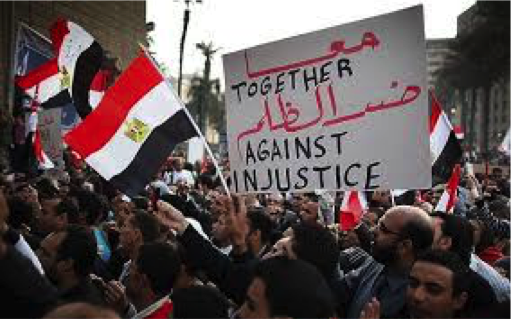 Human beings have an incredible capacity to endure hardship and suffering but there are limits, as the recent ‘Arab Spring’ uprisings demonstrated. Like it or not, and many will not, the failure of the Muslim world to develop a sustainable philosophy of governance that could balance the religious aspirations of their citizens with the equally compelling demand for justice, political expression and economic opportunity – in effect a more democratic system of governance – is the single most important reason why the Muslim world is in crisis today. 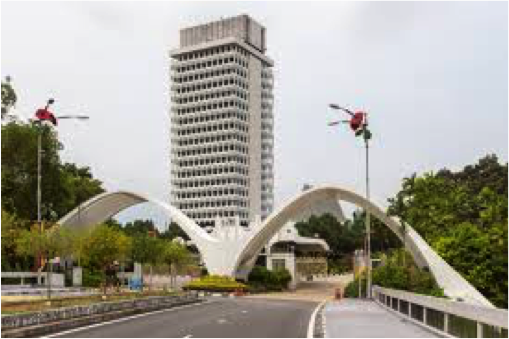 What lessons can we in Malaysia learn from the political model that has come to dominate the Muslim world, especially at a time when some of our own Islamic leaders are pushing for more Islamic forms of governance including hudud? Firstly, democratic governance structures are critical to long-term survivability. Yes, democracy can be messy and voters can be flippant and unwise in some of the choices they make but the alternatives are far worse. Our democracy, as imperfect as it is, is still far superior to the governance systems of most Muslim countries. It has helped us to hold our nation together, forge a degree of unity in diversity that is almost non-existent in the rest of the Muslim world and provided the structural underpinning of our economic development. We should not take it for granted nor allow it to be subverted by corrupt and ambitious politicians or extremist religious leaders. Secondly, politics and religion should be kept separate within the context of a secular state. Politicians should never be allowed to acquire religious authority while religious leaders should never be given access to political power. The state must exist to serve all citizens equally and impartially, providing the best environment for all to prosper and grow. When the state becomes a servant of theology, whatever that theology may be, everyone suffers. Western societies learnt this lesson at great cost; the Muslim world has yet to do so at equally great cost. Religious leaders who push for more extreme interpretations of Islam as a panacea for the ills of modern society, as is happening in Malaysia today, entirely miss the point about the glory days of Islam. Islamic societies were strongest, most influential, most respected and most resilient when they were liberal, receptive to the outside world, tolerant of diversity and open to different ideas. As Bernard Lewis, one of the leading scholars of Islam, noted: in its heyday, Islamic societies pioneered freedom of thought and expression, which though limited in comparison to present day democracies, were unparalleled at the time. And it was this intellectual freedom from orthodoxy and indoctrination as well as freedom from tyranny that allowed Muslim societies to flourish without equal. It is also telling that the mass of Muslims desperately fleeing their own lands today head not for the rigid orthodoxies of Saudi Arabia or Iran but for liberal democracies. Even the Bangladeshis and Rohingyas who are currently washing up on our shores hope to eventually make it to Australia, America or Europe. They endure great perils and hardship to get to the West because they know that ultimately only liberal societies offer them the best opportunity to practise their faith in peace while pursuing their hopes for a better life. Their actions reveal far more about the aspirations of ordinary Muslims than sanctimonious religious leaders are willing to admit. What is going on in the rest of the Muslim world is a stark and sobering reminder of what unthinking and uncritical approaches to governance can result in. We have, in Malaysia, the seeds of success – a secular state, a still democratic constitution, vast economic opportunities. Let’s not allow the extremists and the despots to steal that from us.